Long term care services include help with everyday tasks such as bathing, eating, dressing, using the bathroom, etc. 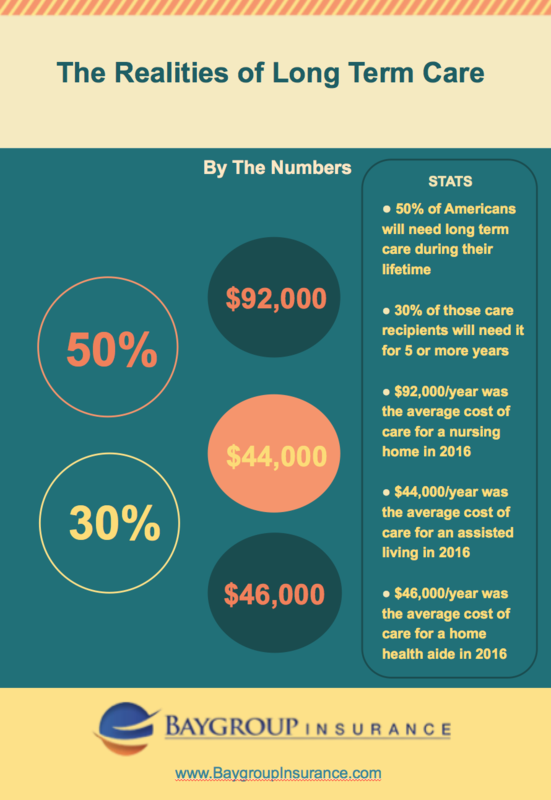 According to a new study by LifePlans, Inc. on behalf of America’s Health Insurance Plans, 50% of Americans will need some type of long term care during their lifetime. About 30% of those care recipients will need it for five or more years. As health insurance does not cover this type of care, it is important not to underestimate the high cost involved.